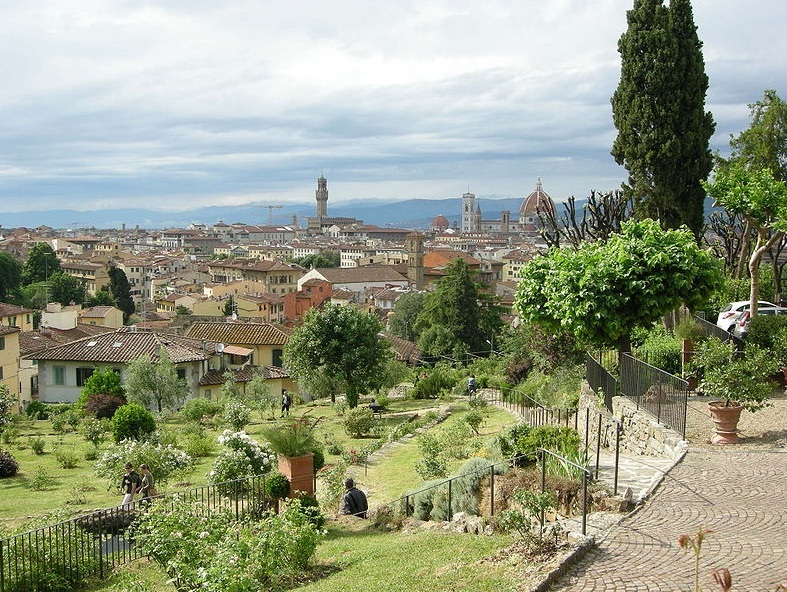 Up above Piazzale Michelangelo, Florence's rose garden was created by Giuseppe Poggi in 1865, in honour of Florence becoming the capital of Italy and is at its most glorious in May. It also has a Japanese Shorai oasis, donated in 1998 by Kyoto, Florence's twin city, and a dozen bronze and ceramic sculptures by Belgian artist Jean-Michel Folon, who had always loved Florence ever since he hitchhiked there as a young man, donated by his widow in 2005. His Partir, a bronze outline of a suitcase with a ship sailing the waves inside, frames a splendid view of Florence.